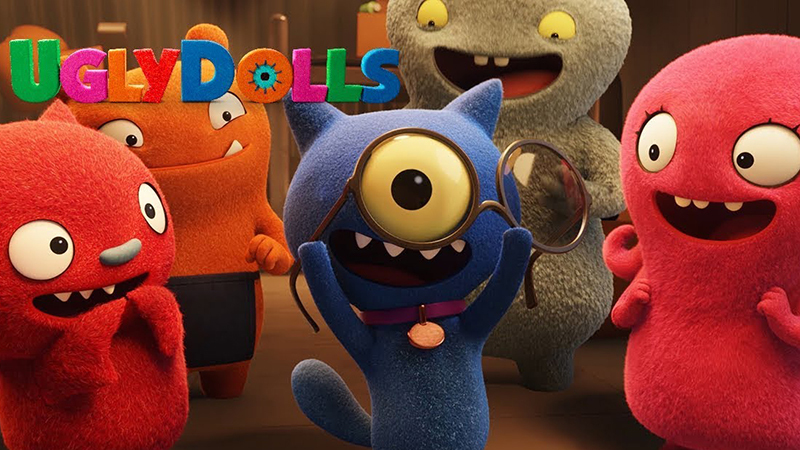 STXfilms has released the second trailer for their upcoming animated musical event of the year, UglyDolls. Check out the trailer now below! The film is inspired by the unique and beloved global plush toy phenomenon launched in 2001. It features the acting and singing voices of Kelly Clarkson, Nick Jonas, Janelle Monáe, Blake Shelton, Pitbull, Wanda Sykes, Emma Roberts, Gabriel Iglesias, and Wang Leehom. Moxy (Kelly Clarkson) loves her square-peg life in this round-hole town, but her curiosity about all things leads her to wonder if there’s something – anything – on the other side of the mountain which nestles Uglyville. Moxy gathers a group of her closest friends and sets off to find what’s on the other side. They discover another world – Perfection – a town where more conventional dolls are trained in protocols before they graduate and are sent to the “real” world to find the love of a child. In Perfection, Moxy and her crew are subject to the manipulations of Lou (Nick Jonas), the perfect doll in charge of training recruits. Here, the UglyDolls will confront what it means to be different, struggle with their desire to be loved, and ultimately discover that you don’t have to be perfect to be amazing because who you truly are is what matters most. UglyDolls is set to open on May 3. The post UglyDolls Trailer #2: What Happens to the Dolls Who Aren’t so Perfect? appeared first on ComingSoon.net.